Early this afternoon, His Majesty The King welcomed Her Majesty Queen Beatrix of the Netherlands to Norway. 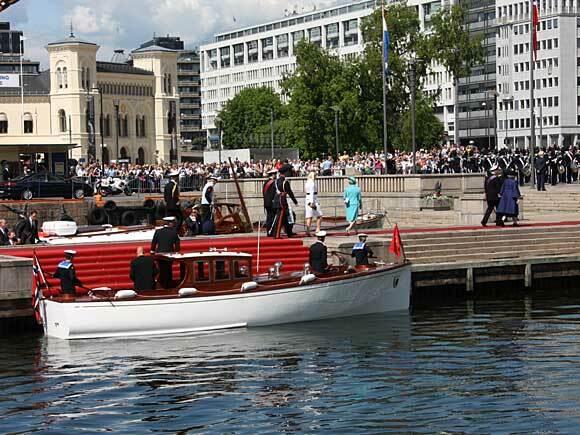 Queen Beatrix, who has begun a three-day State Visit to Norway, was received in an official welcoming ceremony when she disembarked in Oslo. 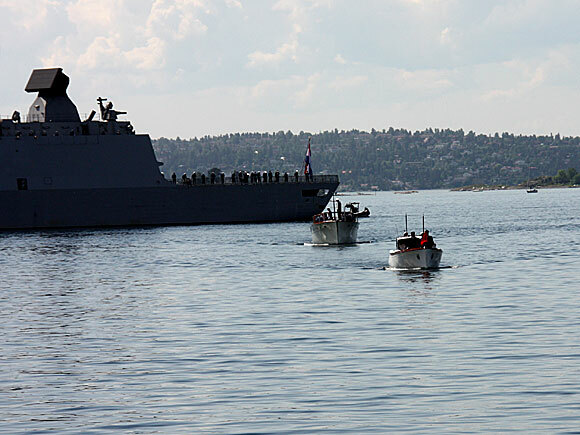 Queen Beatrix arrived at the Port of Oslo on board the Dutch frigate Tromp. 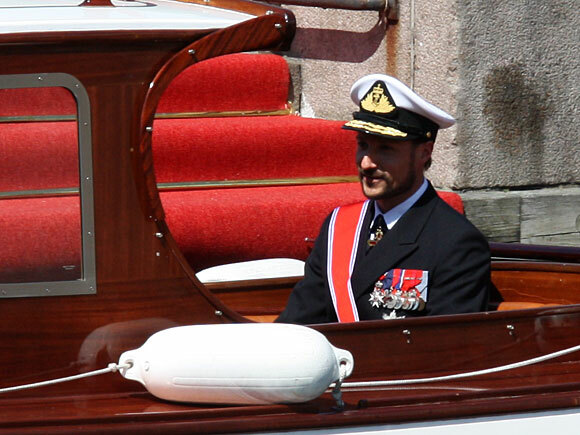 His Royal Highness Crown Prince Haakon met the frigate with the Royal Barge Stjernen and accompanied the Queen to the Honnørbrygga dock near Oslo City Hall, where she was received by King Harald, Queen Sonja and Crown Princess Mette-Marit. The Dutch national anthem was played, followed by the Norwegian national anthem. 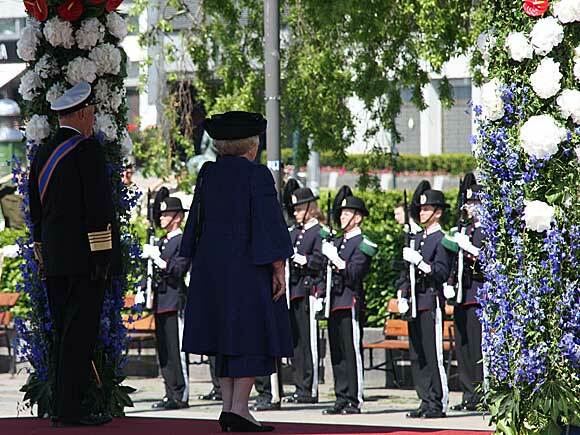 Queen Beatrix then inspected the Kings Guard, and the King introduced her to representatives of official institutions in Norway. Queen Beatrix also had the opportunity to greet members of the Dutch community in Norway as well as schoolchildren who attended the event. 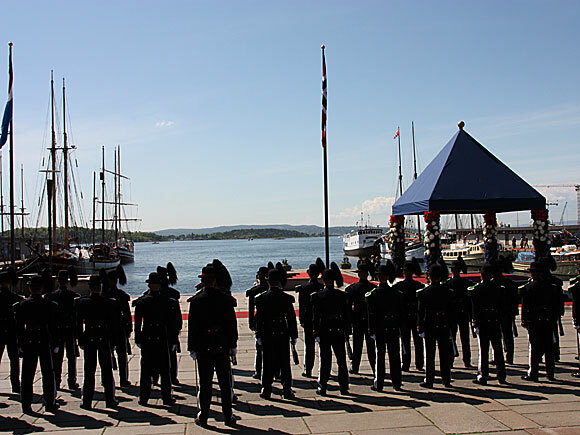 It is traditional for heads of state paying an official visit to Norway to lay a wreath at the national monument at Akershus Fortress. 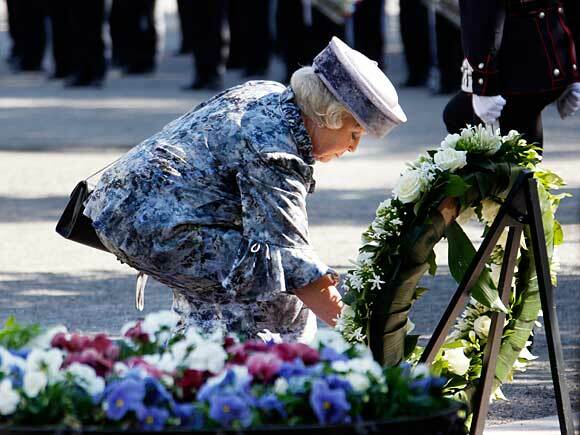 Queen Beatrix was accompanied by King Harald to the monument, where she laid a wreath in commemoration of the Norwegians who lost their lives in the Second World War. Following the wreath laying, Queen Beatrix left to attend a meeting with the President of the Storting, Dag Terje Andersen. 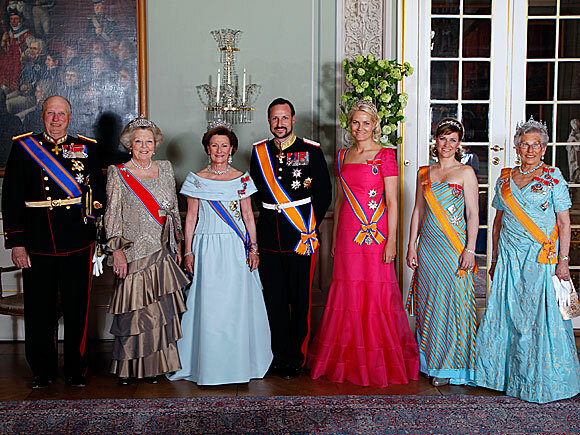 This evening at 8 p.m., a gala banquet is being held at the Royal Palace in honour of Queen Beatrix. 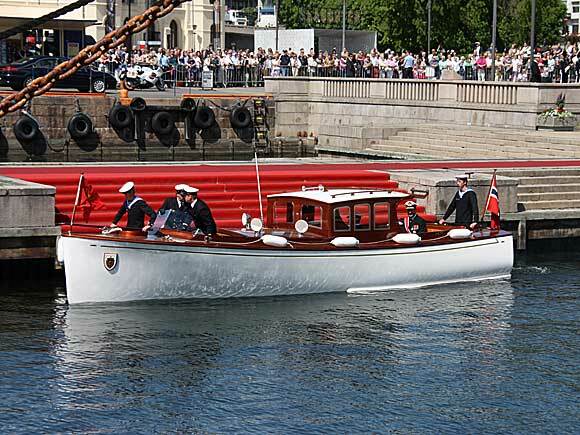 King Harald and Queen Sonja are hosting the event, and will be joined by the Crown Prince and Crown Princess, Princess Märtha Louise and Mr Ari Behn, and Princess Astrid Mrs Ferner. 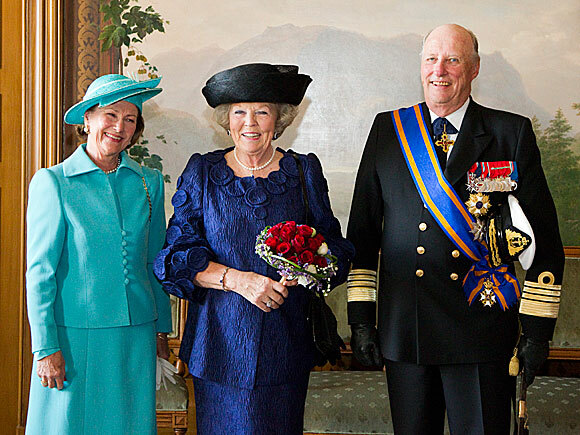 The remarks delivered by King Harald and Queen Beatrix will be made publically available during the course of the evening. Tomorrow, King Harald and Queen Sonja will accompany Queen Beatrix to the Oslo Børs securities exchange, where they will attend a seminar entitled Labour Participation and Gender. They will then continue on to Bjørnholt Middle and Upper Secondary School, which has gained recognition for its innovative efforts to promote integration. 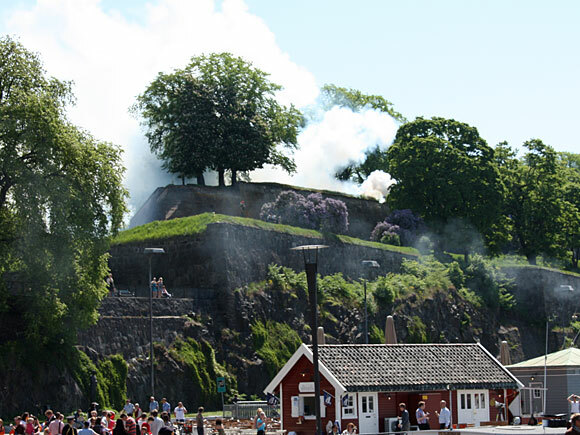 The Norwegian Government will host an official luncheon at Akershus Fortress, before King Harald, Queen Sonja and Queen Beatrix meet with representatives of the Norwegian and Dutch business sectors. 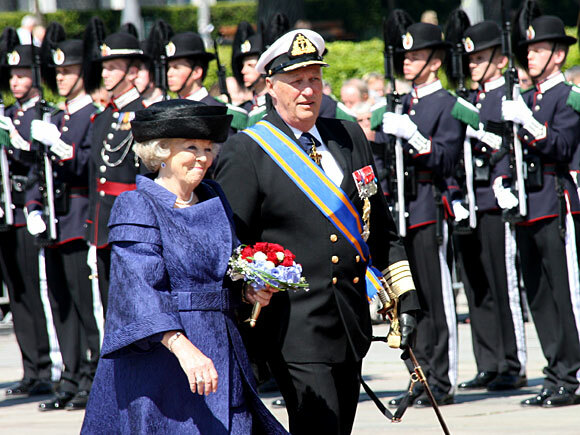 Queen Beatrix will also meet with members of the Dutch community in Norway at a separate event held at Oslo City Hall. On Wednesday evening, the King and Queen, the Crown Prince and Crown Princess, Princess Märtha Louise and Mr Ari Behn, and Princess Astrid Mrs Ferner will be the guests of Queen Beatrix at a cultural event at the Oslo Opera House.